The Urdu poet Sheikh Muhammad Ibrahim Zauq was better known by his nom de plume, “Zauq”. He lived at the time of the Mughal empire when poets were judged more on the technical structure of their work than the content and, as such, he was a very popular poet. Some say he outshone another poet by the name of Ghalib, even though the latter is generally acknowledged to be the finest of the Urdu-Persian language poets of his era. At the young age of 19, Zauq was appointed poet laureate to the Mughal Court in Delhi. He was born sometime during the year 1789, the son of a common soldier in the Mughal army. His circumstances were, therefore, modest and he was only allowed a fairly rudimentary education at an elementary religious school, known as a maktab. Zauq made up for this slow start in later years though, studying theology, history and poetics. He was fortunate, though, to come under the tutelage of a poet at the maktab and was thus encouraged to follow his teacher’s example. Zauq left the maktab without completing his studies and was taken under the wing of Shah Naseer who was, at the time, the most famous poet in Delhi. Naseer invited his young protégé to participate in the mushairas, these being symposiums of like-minded poets but soon the pupil began to outshine the master and he was made to leave. Zauq therefore had to make his own way as a poet but his talent was such that he was able to do so with ease. He was already popular and it was simply a case of continuing on the same path. A poet friend named Beqarar introduced him to the Mughal royal court and Zauq was soon involved in the royal mushairas. His influence there rapidly increased following his appointment as poet laureate, a post that he held for the rest of his life. His position dictated the need to write eulogies and he did so to ensure that he retained the patronage of the King and his princes. Zauq became a master of poetry written in difficult meters using the language in its most pure form. His linguistic eloquence reflected that of his mentor, Shah Naseer, and literary historians have compared Zauq’s elegies to another great writer, Mirza Muhammad Rafi Sauda. Sauda was especially well known for his ghazals and Zauq also produced such work, using colloquialisms that were simple in their construction, using everyday words found everywhere in common culture. He was a deeply religious man and some say that his ghazals appear to be the work of a preacher, rather than just a poet. Much of his work was lost during the mutiny of 1857 but, fortunately, enough of it survived for future generations to enjoy. 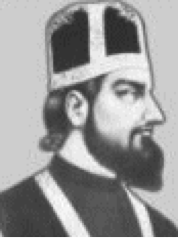 In addition to being the poet laureate, Zauq also held the title ‘Khaqani e Hind'( The Khaqani of India). This was awarded by the last Mughal emperor. Sheikh Muhammad Ibrahim Zauq died in 1854 at the age of 65. He was buried in Delhi.